This is my think-tank category where my ideas for new Blog Articles on my main site go. A much needed update to the user experience at profiPhotos.com is now live. We’ve had growing pains of course. We had a major problem with our bilingual plug-in that was stopping some folks from even visiting the site. We worked with the plug-in developer to resolve that issue – and now it’s fixed. Other users, who were using Internet Explorer 6, had display problems and were having difficulty navigating the site – that’s also been fixed. The site NOW works with Internet Explorer versions 6, 7 and 8, Firefox 2 & 3, Opera, Safari (including the new Chrome browser from Google) and others. I had no idea our Site was going to become as popular as it has – mostly in response to our releasing our first set of how-to videos! You can be sure we’re busy planning a follow up series of videos on tips & tricks in Lightroom 2. And that’s where we had some issues. The site was simply TOO NARROW to support the wide screen videos and our dynamic photo galleries. So, we’ve released a FULL SCREEN version of the site that provides us with much needed room for growth. And grow we will. First off, we’re bring all the videos back into the main site, we’re consolidating all of our photo galleries on one page. Here you’ll see a description of the gallery, thumbnail and the option to view a flash gallery or normal slide show. We’re also setting up a page where you can download our most popular photos as wallpaper in sizes to accomodate the most popular screen resolutions. So have a look around, and if inclined, drop us a note or send us your ideas. There’s a new comments feature available from the About page. At any rate, look for exciting new developments in the next few weeks! If anyone has been following my posts here you’ll notice I haven’t written anything in a while. Simple explanation – my hard drive on the main server here at profiPhotos gave up the ghost last week. Naturally, not all is lost (yes, I do make backups) but as anyone who has had the same kind of thing happen to them, knows, it is a time consuming effort to rebuild your system the way it was. I decided that since I need to install Windows XP again, I might as well spruce up the old system with some more storage space and setup a multi-boot manager as well. I’m not going into a lot of technical details but when I decided I wanted to boot XP from from my faster SATA disks, I had no idea what was in store for me. From the get go, Windows XP is not able to recognize these drives at installation time. The only way to install the drivers that shipped with the SATA controller is to make an install diskette! Now who in their right mind uses diskettes anymore today? Well, I had no choice, install a floppy drive in my system or forget booting from a high speed SATA disk. After borrowing a floppy drive from a coworker, I was on my long and arduous task of rebuilding my system. As part of the process, I decided to install the latest version of Linux (SUSE 11.0) on one of the new hard disks. It is in fact from within Linux that I am writing this article. I had thought that after many YEARS of not having much to do with UNIX or the like, I was in for a treat with this latest version of LINUX. I am happy to report I was pleasantly surprised and horribly disappointed at the same time. Yes, Linux has grown up and yes Linux is still best left to the command-line lovers out there. I, for one, am more interested in using my computer rather than having to search over the Net for software when I’d like to simply watch a DVD on my Linux system. Linux has a lot of really nice features and is very stable, albeit the new KDE 4.0 has many bugs in it (although the crash window is really pretty). As an example, when was the last time you tried adding a floppy drive to Linux after installing in a system that originally didn’t have one. It’s not fun. Believe me Linux is not for the layman who is looking for an alternative to using Windows or a MAC. I have been doing the most rudimentary tasks in Linux (like accessing my XP drives) and have spent literally hours trying to figure stuff out. You have almost no choice but to visit the Linux forums if you want to get a simple answer on how to do things because with the online Linux help system you’ll never get a proper answer to your search keywords. OK, I don’t want to bash Linux, this is just an opinion from one guy who has many years of UNIX experience under his belt – Linux is not an Operating System for the casual computer user!! Anyway, getting back on track, I am now preparing my next article for the profiPhotos main site where we will take a look at what makes a good photo. Yup, this will be another multi-part series focusing on some basic composition concepts. I also plan to introduce a workshop to accompany each article where interested readers can review a photo assignment (part of the article), go out and take photos and upload them to the site. 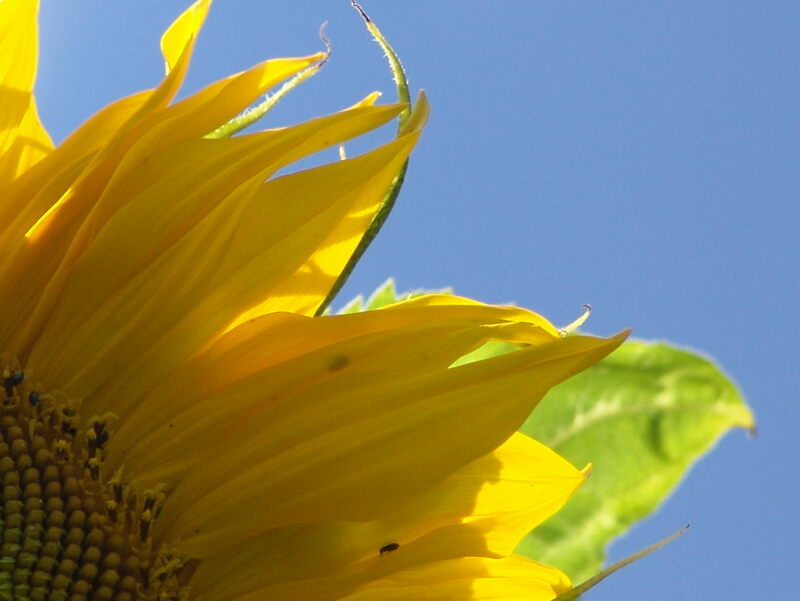 I will be posting submitted photos in a special gallery dedicated to our reader’s photographic efforts. With that said, I’m off to finishing the server UPGRADES and will be posting the first article shortly. Ok. I just wanted to quickly write down a couple of ideas I had fro my next two blog articles. First, I want to enhance the comments section in my main blog site to make use of the advanced tinymce editor so that users can pretty up their comments. In addition, I want to add Gravatars to the comments area so that the comments become a little more personalized. 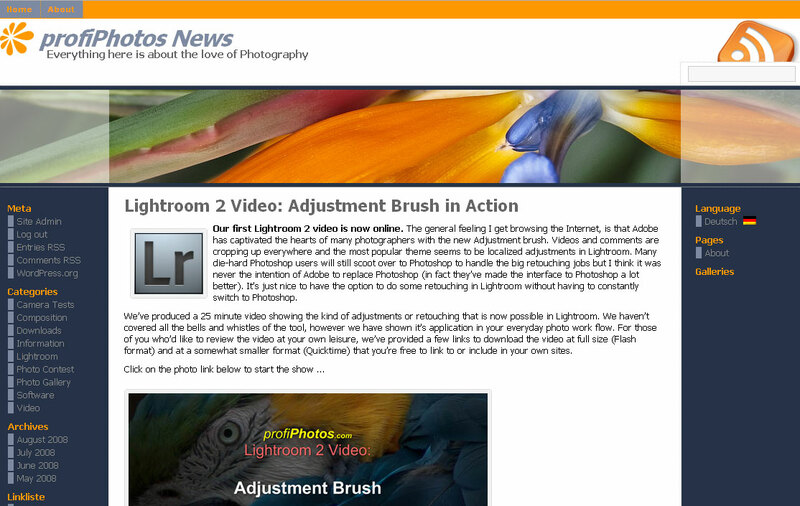 Second article for this week will be on an Introduction to Lightroom. Every serious photographer out there should be using this program to catalog and edit their photos. This will be the first in a long series of articles each describing another useful feature of this remarkable software package.